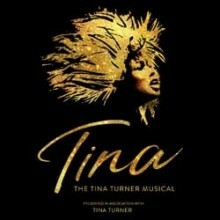 Jason Langley takes to the stage and stars in the brand new West End Biographical sensation ‘Tina: The Tina Turner Musical. Tina Turner has gone from R&B singer to ‘Mad Max’ movie star to living legend, in an eclectic career that’s spanned over half a century. Now, her life’s being turned into a musical that’s written by leading playwright Katori Hall (‘The Mountaintop’) and directed by Phyllida Lloyd, who’s worked on topnotch Shakespeare adaptations as well as international mega-hit ‘Mamma Mia!’. Jason will be appearing as Martyn Ware the English musician, composer, arranger & record producer who wrote a produced ‘Let’s Stay Together’ which featured on the smash hit Tina Turner album ‘Private Dancer’. Playing from 17th April this show is sure to be a smash hit.